With the rise of the "classic bicycle aesthetic" it is becoming increasingly popular again to shellac handlebar tape, cork grips and twine. Obviously I love the trend. But I also think that people ought to be aware that the purpose of shellacking is predominantly practical, not aesthetic. Shellac is an all-natural natural sealant (derived from the secretions of a Thai insect), which makes it perfect for waterproofing wood and cloth. 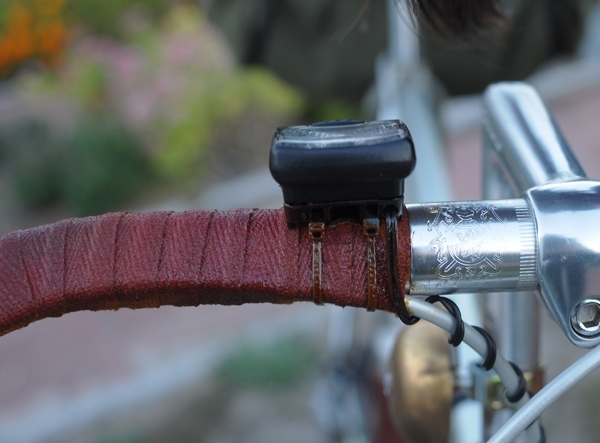 When you cover your handlebars in cloth tape, two things will happen to them over a surprisingly short time period: They will get dirty from your hands rubbing road dust into them, and they will get soggy from rain and sweat - which can cause the tape to distend, discolour, and even rot eventually. Shellac will form a protective layer that will prevent this from happening.
. I use a 1" foam brush, rather than a real paintbrush. A paintbrush can leave visible brush strokes, whereas a foam brush makes it easy to quickly put down an even coat. Also, because shellac is difficult to wash out, it is pretty much a given that you will ruin paintbrushes with it. Ruining a foam brush is less costly.
. I like to apply shellac in thin layers, rather than oversaturating. This way it dries faster, and I have better control over the thickness.
. Because I like to feel the texture of my bar tape, I am careful not to go overboard with the shellac application. If you apply so much that your bars feel glassy and hard as a rock, they might not be so comfortable to hold. If you find that you've accidentally done this, try going over it with steel wool or fine grade sandpaper to restore some of the texture.
. Since I ride my bike often and in bad weather, I re-shellac on a fairly regular basis. The shellac tends to wear off first in the spots where I keep my hands the most. 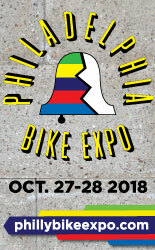 When I notice this, I know it is time to add another thin layer.
. Shellacking the night before I plan to ride the bike usually leaves sufficient drying time - but doing it at least 24 hours beforehand is safer. Once or twice, I've ended up holding my hands on the hoods during an entire ride, because the bars were still not 100% dry. Twine requires shellacking for similar reasons as bar tape: If left in its natural state, it will unravel over a short time period from friction and moisture. Because of their distinct look, it is understandable that shellacked tape or twine on a bicycle can be seen as a fashion statement. But while I am happy it looks nice, for me the practical benefits far outweigh this aspect. If it were not for shellac, I would destroy my cloth tape on a regular basis. And in case you are wondering - Yes, of course we brought shellac to the Cape! 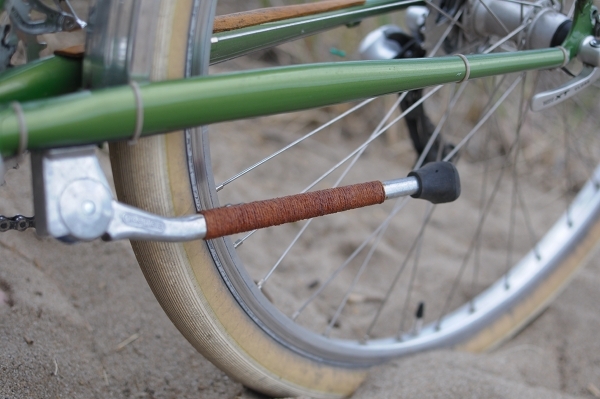 The Co-Habitant has finally replaced his Motobecane's stem shifters with Shimano bar-ends, and we re-did his tape as the sun was setting over the beach next to our house. I know some people like to buy the flakes (whatever works for you!) but the amount of the stuff we end up using, I'd be mixing flakes and testing different batches every weekend. Who wants to do that? Cans of pre-mixed shellac (at the hardware store) can last up to a year and you can read the mixing date on the label. If you don't think you'll use up a large can, you could always get a smaller one. We always buy "amber" shellac, I guess it's a matter of aesthetics. I think "clear" shellac comes from insects living in different trees but ultimately works the same way. Foam brushes are also kind of wasteful of shellac, so you end up using a good amount. I wouldn't worry about buying too much. Handlebar tape needs frequent re-coating. The bottles wear fast, too, and if you let them get down to bare twine, it will be chewed up quick. oh, and i haven't ruined a single paintbrush, even after several dozen applications of shellac. the key is to wash the brush twice with alcohol or straight up ammonia, rinsing in water after each wash. this whole process takes two minutes. ammonia is also cheaper: a $0.99 bottle has lasted me over two dozen shellac applications with a high quality brush. MDI-- i see you switched from cork tape to cotton on your moto... how do you like it? > "With the rise of the 'classic bicycle aesthetic' it is becoming increasingly popular again to shellac handlebar tape, cork grips and twine." At what point will we finally cease to say something is "becoming popular" and just admit that it's currently very popular? I feel like we say it's 'becoming' popular for the sake of sounding as though we, as individuals, are on the front edge of a trend, when in reality the trend has already caught massive headwind and few (except complete outsiders to cycling) are unaware of it's momentum. I'm not trying to be a troll, I just think it's funny that we can't admit the trend is already in full-swing -- it isn't becoming popular, it is. If anything, I feel that the retro/shellac look has become so mainstream that some of the true retro grouches are currently going to elkhide/leather wraps or something even more snobbish/boutique. As for me, I'll stick with my cork shellac, even if it puts me in the middle of a fad. david m - That's a good point about the "becoming popular" phraseology, but I think my use of it is appropriate here. I define "is popular" as something that I would see in "real life", on the street, as opposed to the artificial "world" of flickr pictures from a relatively small group of people around the country with similar tastes. For example, city bikes in Boston are popular now, period. Two years ago they were just becoming popular, but now they actually are. And seeing them all the time is what makes that clear. On the other hand, I have never ever seen shellacked and twined handlebar tape on any local bicycle "in the wild", and people often ask me in bewilderment to explain what "that stuff is" on mine. So I would not define that as "is popular", let alone "very popular". Interestingly, what led me to write this post were the emails and comments I have been receiving lately with readers asking whether shellack and twine are decorative, or whether they serve some sort of purpose. They have seen flickr pictures, or the instructions on the Rivendell site and think it looks nice - but have no idea why it is done. Anyway... I neither see nor try to present myself as a trend setter, and this stuff has been done since before I was born. I just happen to like it, whether it is popular or not. I've installed those Elkhide grips on my new mixte (over cloth tape) and they feel extremely nice, but are a pain to sew up. Don't think I could handle doing it on a bike with drop bars! I'm about to shellac cloth tape for the first time; how many coats/layers do you start with initially? I've heard anywhere from one to eight before taking the inaugural ride. What's your take? as MDI pointed out, "clear" shellac works the same way as "amber", but the two can have a profound effect on the resulting color. both clear and amber will darken the underlying bar tape; but amber will transform the color into something much redder and deeper. i've tried amber shellac on brown and black bar tape, and have been displeased with the results (ends up looking kind of... poopy?). but amber shellac on white, yellow, orange or red bar tape can create a very rich, deep color. 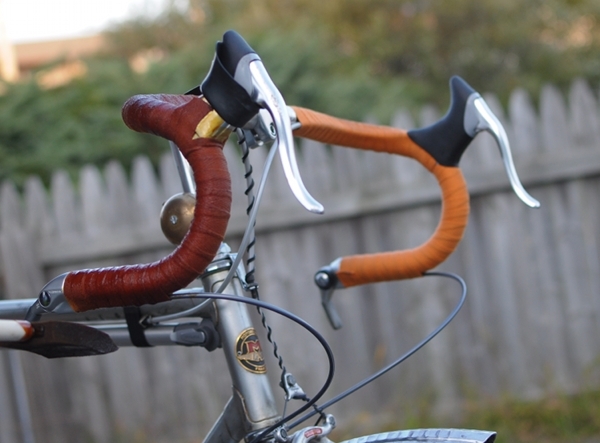 for darker bar tape colors such as brown and black, clear shellac does a wonderful job of bringing out the color without overly darkening it. also, cork tape and cotton (and twine, for that matter) absorb shellac differently. cork tape is the least absorbent, and shellacking usually requires many coats. 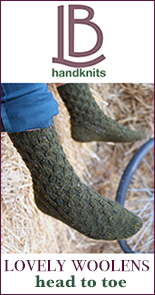 cotton and twine soak up shellac like a sponge, and generally don't require as many coats. Thom - I think it depends on what you want the bars to look and feel like. 8 coats will probably result in the "glassy" effect. I like to use 2 on mine, but the typical number is probably 3-4. You may find that cutting canned shellac 1:1 with denatured alcohol works well. It tends to soak in more evenly and look less blotchy, though obviously it builds a finish layer on the surface only half as quickly. This can be an advantage if you want to really soak the shellac into the cloth or cork tape without building up a thick glossy coating. So I have to ask, at the risk of sounding clued out, what's with the twine on the kickstand? What does that achieve? 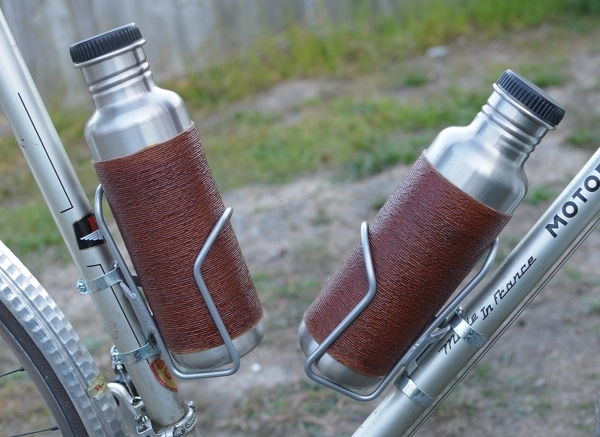 I guessed that the twine on the bottles is just for better gripping surface, but why the kickstand? I like to use cord instead of twine, the twisted texture is a little more uniform and certainly less hairy(it was also the wrap of choice for Grand Prix and Indianapolis race car steering wheels and Fighter Plane control sticks till into the 50s). I just buy cotton cord at the hardware store. Also, if your shellack job is in good over-all shape and you have a spot with some scratches or abrasions just try applying alcohol with a brush or cloth to that spot. It softens it up and lets it sort of freshen itself up without darkening that spot like adding more shellac will do. While doing some sketching in a railroad museum in Pennsylvania a few years ago I discovered that shellack was used to adhere operating instructions and warnings all over locomotives and rolling stock in the steam era. One just took whatever sheet of paper was handy and neatly wrote the information on it and then slapped to whatever panel or surface needed to be labeled.It is suprisingly durable, I saw penciled instructions in the cab of a locomotive that were 140 years old. If the paper is thin enough it turns translucent like parchment and has a lovely effect. I am going to try making my own hand drawn headbadges and shellacking them to the bamboo frames I'm building to see how they hold up. 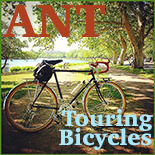 Anon - The kickstand and left pedal tend to scrape against each other if the bicycle is accidentally rolled while parked on the kickstand. The twine keeps both from being marred. See Rivendell's explanation of this. Spindizzy - That was one of the reasons we twined ours; the layer of twine makes them fit into at least 3 standard cages we have on our various bikes. Are you joking about the bamboo frames? Before I forget, MDI's Motobecane looks great with the new shifter controls. I had my '70s Peugeot set up in a very similar manner, and loved it. The shellac is like icing on a very classy cake. I should add that I like the new cloth/shellacked bars on my Motobecane. Probably not going back to cork. I am not sure about leather. 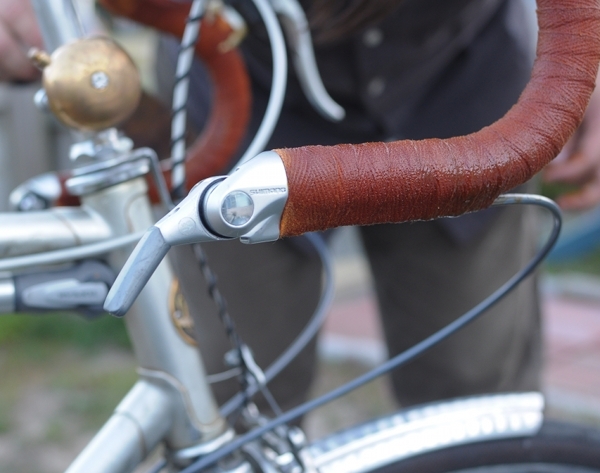 On the one hand, I love the leather Brooks grips on my Pashley (but those are leather washers, a completely different feel from leather tape or sewn-up elkhide). On the other hand, I like the sandpapery/hard feel of shellacked cloth tape. I also like how cheap and replaceable cloth tape is. And all the colours. Mine is/was orange. I put the remaining orange tape around my kickstand, going to shellac that in place tomorrow and maybe Velouria will post some pics of that on Flickr. Corey: I have it on good authority Spindizzy is making bamboo-framed fixie 29er mountain bikes with full suspension, wooden tubular rims, latex & silk sew-ups and hydraulic disc brakes powered by coconut milk. MDI - That's right, I forgot about #5; that's an important point. Reminds me that I need to review the bottles themselves too. Corey - Thanks, I think his bike looks great, too... though I still think it is about time he got a nice *new* bike. I am willing to go hungry for a few months, but he is hard to convince. As you say, on this side of the Atlantic, mixed shellac is known as French polish. It's also sold as knotting, which tends to be a bit cheaper. This is for sealing resinous knots in wood before painting it, and is probably not as good quality as French polish, but maybe quite adequate for bicycle use. Rustin's sell knotting alongside their French polish. Denatured alcohol is the American term. In Britain, this is called methylated spirits or meths, and is widely available. It will clean the shellac off brushes, which should then be washed in warm soapy water, rinsed and put to dry naturally. A warning about nail varnish remover. My wife used some recently, applying it with cotton wool balls, and the skin cracked open on the pads of all her fingers, causing great discomfort and inconvenience for a while. I had been noting your nice looking water bottles in other photos and am glad you took a closeup and explained how they were made/created. Thanks for teaching and showing me something new. I enjoy reading your blog. I've noticed that clear varnish goes better on tape colors in the blue area of the spectrum. Amber is orange. Opposite on the color wheel of blue. Orange on Blue is Blechk. Think of amber shellac as an amber filter on a camera. It makes *most* colors look golden as an Italian landscape. I test-coated dark blue with both. Amber came out almost black. I tried amber on a dark green tape. The results are VERY subjective. It looks like pond scum. I like it... matches my Rivy Sackville bags. My daughter is ashamed to be seen with me on it. My wife refuses comment. Nobody seems to be without an opinion, though few are voiced. It gets stares. About a third say they like it. I'm guessing the rest are too polite to comment. Oh, and I've been using an oversized stainless bottle from the grocery store - I was wondering what bottle you are using? FYI Shellac is always reddish/amber, the clear shellac is obtained through a bleaching process. And if you keep that lid tapped tight on that can it can last years! And if no one has mentioned it yet, denatured alcohol works great for cleaning up any drips if you're not careful. Actually I'm one of about 10,000 people building a bamboo bike these days. If I wanted to be doing something hip I'm probably 3 or 4 years too late. I'm just following the plan from the "instructables" website. But I think they're neat (if maybe a little dumb), reasonably light, easy to make(compared to a steel frame), stiff and cheap. I like the looks of them more than anything though. They look like something Tommy Chong would ride if he were a cyclist. I like Tommy Chong and I hope you do too, I think we should all strive to be more like the great man if only in being broad minded enough to ride bikes made from yard waste. Corey, the first one was SUPPOSED to be a 29er singlespeed freewheel, but the wheels I was going to build it around got re-claimed at the last minute by the guy who left them here for like 3 years, so the one in the jig right now is a 26" coasterbrake bike built with a bunch of really nice parts I salvaged from a 1936 Firestone girls bike with a bent frame and rusted out rims. I hope it turns out nice but if it doesn't I'll throw it into a corner and try again this winter. Two of my friends are also building them in my basement (we have a really nice jig we built together for building steel bikes) and they made it look like fun so I decided to do it too. I'm always down there building racks for people or working on Museum projects so it gives me something to do when I need a diversion. It ought to be done in about a week or 10 years... If it turns out to be a dead-end like 75% of these projects do, who cares, it's fun just messing around with dumb stuff. Velouria, thank you for this post. You gave me an idea of using twine and shellac for my Pashley kickstand (it swings down from the top of the rear fender, as you probably know). It's just painted metal and it's getting pretty beaten up in the short time that I've had the bike. I may be more particular than most in keeping bikes as flawless as possible. So, this is kinda killing me. How does the cohabitant deal with the kickstand of his Pashley? He may not be as obsessively compulsive (or as odd) as me in preserving the looks of stuff. 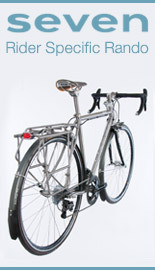 karl--the Pashley fold-down rear kickstand is not very user-friendly. The bike can roll forward off of it. I tolerate it, begrudgingly and have written in the past about how poor it is. For a while, I had a replacement Pletscher double-legger, but that broke. I have my doubts about their quality. I am not sure what to recommend for the Pashley. I am still looking for a good kickstand for mine. Don't twine/shellac the Pashley! That thing needs to stay black. You can touch up the scraped paint with automotive black enamel. Black nailpolish (as I found out) will eventually turn white (like super-glue) and look ugly. I would never cut the Hutchinson rubber coverings or as I've heard the 'pleather' from those Motobecane handlebars, I shellacked over the rubber itself and it is an outstanding feel. Doing the water bottles is a nice touch. All this stuff is so classic.... jeez, I keep homage to the Bike boom, suicide levers, keep 'em, they don't seem so different than those reverse or garondolet brake levers I see for sell. Fine if you like to do it. Calling theeverydaycyclist and others in Britain: to dilute shellac or wash out your brushes, look for methylated spirits or "meths." This is basically denatured alcohol, and is a purple colour. A slightly cheaper alternative to French polish is "knotting," which is essentially the same thing, shellac dissolved in alcohol, but rather thinner. As for "lice poop," French polish is used as a finish on some of the finest furniture ever made, by the likes of Thomas Chippendale, etc. As a woodworker that uses a fair amount of shellac, I can recommend Zinnser SealCoat, which is a premixed dewaxed shellac of very high quality and is sold as a seal coat for wood. This product is medium-light amber and provides a better moisture barrier than standard shellac. It is fast drying, has a long shelf life and is available in hardware and home center stores. This is probably a silly question - how would you make the twine adhere to the water bottle before giving it a good shellacking? Do you simply glue the two ends? Use a dot of glue from a hot glue gun at start and end of the twine. Superglue should be ok too if you don't have a gluegun though. My greyish Brooks Cambo saddle is too light to my taste. Would shellac be durable enough to resist my excited movements on the saddle?